There’s no rest for the man on the land. From rugged wooded valleys to vast green pastures there’s always the next job to be done. 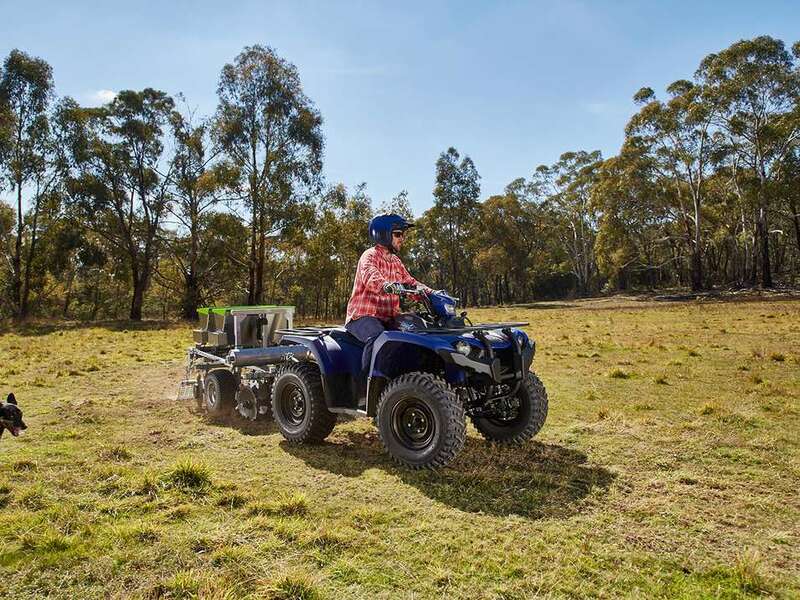 Their ATVs need to be as tough as they come yet comfortable enough to get you through the day Introducing the new fuel injected 4WD Kodiak 450 with electric power steering (EPS). 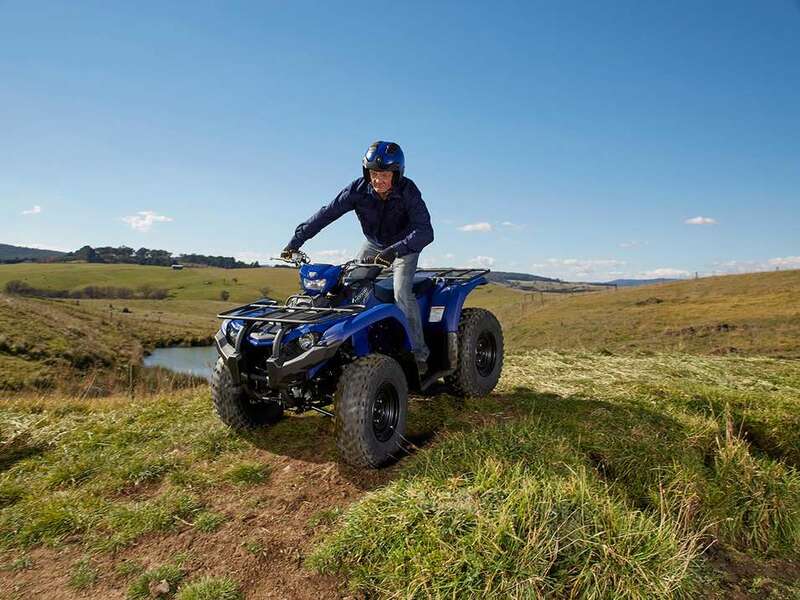 With it’s all new styling, new chassis, wider track and long travel suspension the new Kodiak boosts your comfort and confidence with improved nimble handling and ride catering for a variety of size and skill levels. Full length protective skid plate with easy access service points without removing the skid plate allowing easy servicing and maintenance. 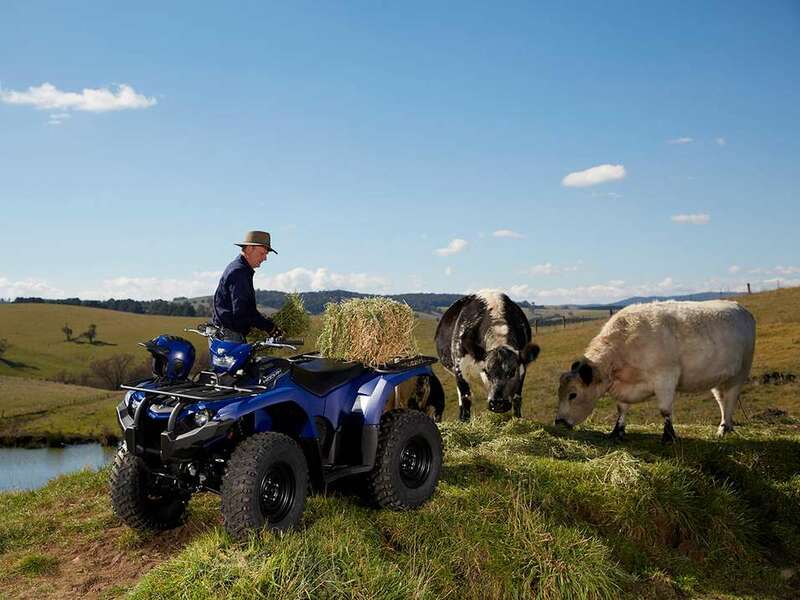 Yamaha's Electric Power Steering provides the industry's best balance of steering assist and positive feedback by checking gear position, 4WD mode and speed to match terrain conditions in real time. Yamaha's Ultramatic system earns its place as the most reliable transmission in the market. An automatic centrifugal clutch maintains constant belt tension for reduced belt wear and a sprag clutch provides Yamaha's renowned all-wheel engine braking. A standard 12V power port makes it easy to keep devices charged over the course of a long riding day. 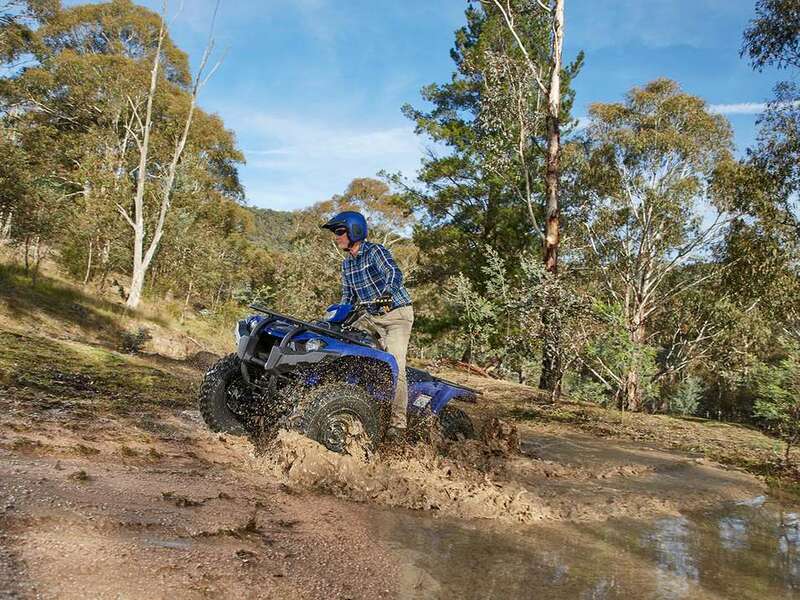 Kodiak 450® EPS brings Yamaha's renowned combination of the industry's most durable automatic transmission—Ultramatic—with the rider-centric control and traction of On-Command selectable 4WD. The result is outstanding capability with the confidence to get you through the most challenging terrain and back again. 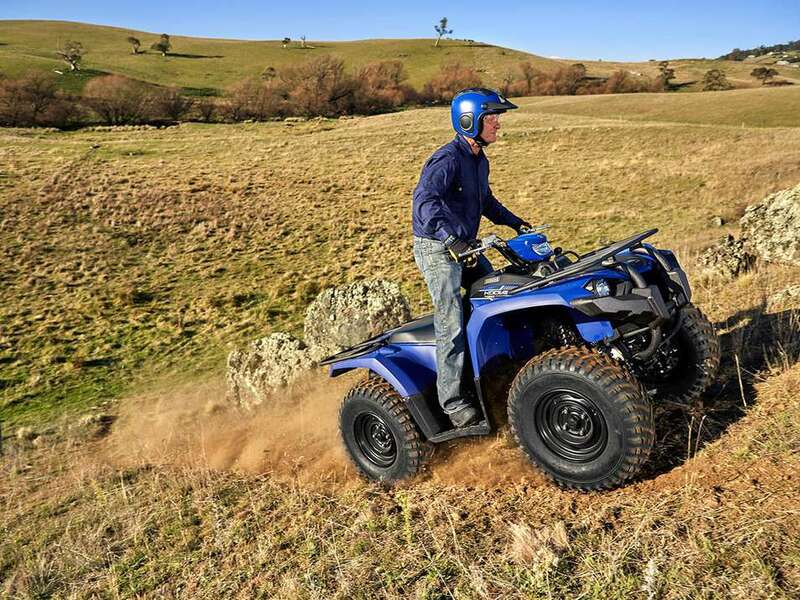 Exclusive to Australia and New Zealand the Kodiak 450 is fitted with tough plastic front A-Arm guards to protect from rocky technical terrain. The Kodiak 450 EPS powertrain is designed to make service and maintenance as stress-free as possible. The airbox features tool-less access to the air filter element, the engine and differential feature convenient oil drain holes, and vehicle electronics are located high on the chassis, under the front center panel, for easy access. Kodiak 450 EPS offers large textured floorboards is one example of how every aspect of the Kodiak 450 EPS was designed to bring class-leading levels of refinement to the middleweight 4x4 ATV segment. Rugged, large-diameter steel cargo racks with durable wrinkle paint finish can pack a total of 120kg combined. A heavy-duty ball mount comes standard and Kodiak 450 EPS can tow more than 600kg. 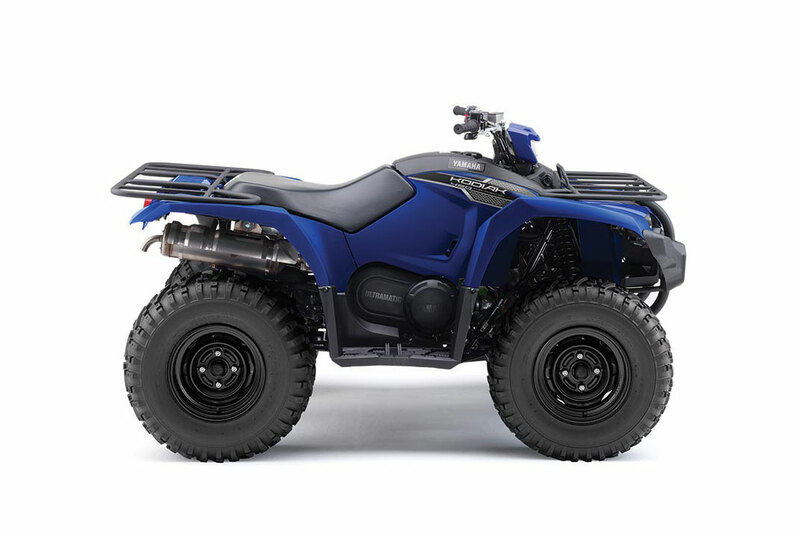 Kodiak 450 EPS features newly developed rubber engine mounts that isolate vibrations from the engine bay and give the rider one of the smoothest rides ever offered in a utility ATV. Kodiak 450 EPS features a torquey 421cc SOHC engine designed to provide a balance of responsive power and smooth character for long riding days with minimal fatigue. Mikuni® fuel injection means easy cold starts and flawless fuel delivery in nearly any condition, while liquid-cooling and a high-volume fan system ensure reliable, consistent performance for years to come. Kodiak 450 EPS offers a riding position with the same roomy feel as the larger Kodiak 700. With tall handlebars and a seat that is long and plush for improves rider comfort for extended work days. The seat can be easily removed to access the new sealed storage area for added items during your ride. 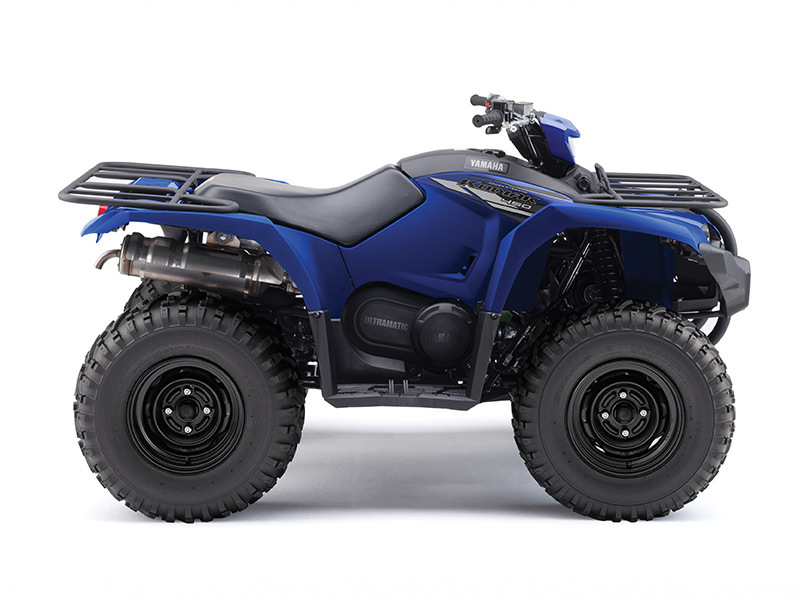 The Kodiak 450 EPS features independent double wishbone suspension for an optimized vehicle stance, light steering feel, and improved feeling from the shocks across the entire range of travel. With 170mm of front wheel travel and 188mm at the rear, Kodiak 450 EPS provides excellent rider comfort even in the roughest terrain. The Kodiak 450 EPS boasts improved rider comfort for extended work days with new oversized thumb throttle reducing rider fatigue and improved control. 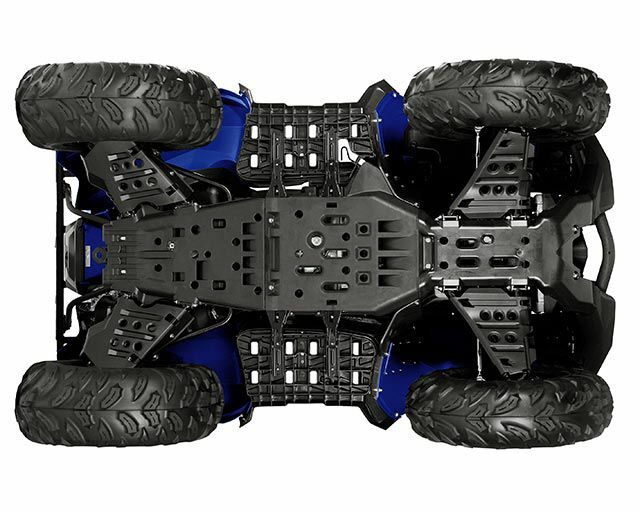 Beefy 25-inch tires feature an aggressive tread pattern and provide a balance of precise steering and optimized comfort to make the most of available traction. The new Kodiak tyres are wider than previous models giving you the control and confidence of sure footed traction. 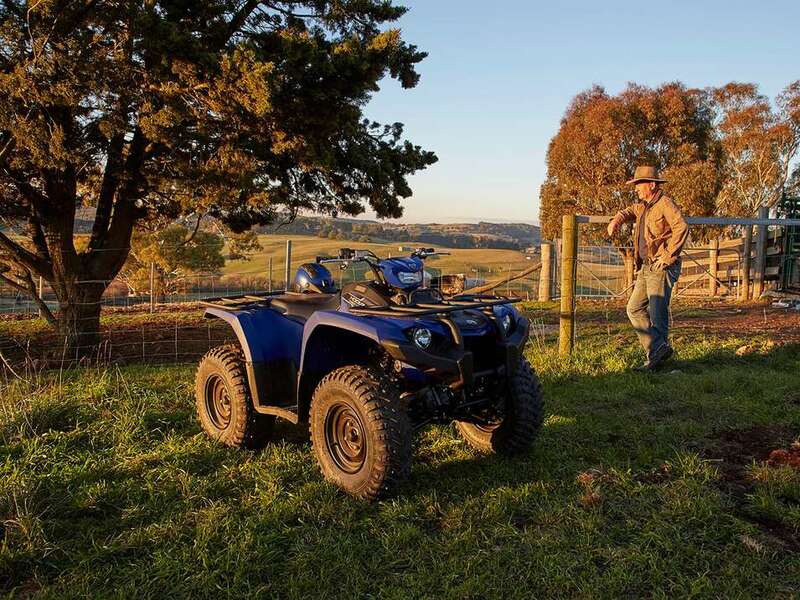 With winch wiring pre-installed at the factory, and a range of Genuine Yamaha Accessories designed in concert with the machine, Kodiak 450 EPS is ready to be configured to suit nearly any job, from towing and field work to hunting and recreational riding. Kodiak 450 EPS owners also get added visibility and extra illumination, courtesy of the additional halogen work light mounted on the handlebar, under a body-color-matched cowl.